It’s a puzzle that has confounded biologists for centuries: the earth’s tropical regions are home to an enormous variety of plant and animal species, but as you travel north or south, away from the equator, the level of diversity dwindles. Scientists don’t know why biodiversity tends to concentrate around tropical regions, but they have put forward several hypotheses. One states that higher latitudes cannot support high biodiversity because of a lack of sunlight and heat. Another proposes that increased solar radiation in tropical latitudes could result in higher mutation rates there. Yet a third points out that the colder ecosystems of earth are younger than their equatorial equivalents. During a period of rapid global cooling called the Eocene-Oligocene boundary, which occurred 34 million years ago, the planet’s tropical habitats shrank dramatically toward the equator, while ice sheets grew at the poles. These newer, colder habitats have simply not existed long enough for as many species to accumulate as they have in the tropics, some scientists say. Attempts to study this puzzle have involved comparing the number of species in several plant and animal groups, such as trees, birds and mammals, across distinct regions of the planet. But tallying species from Borneo to Belgium has yet to deliver concrete answers about why regional differences in diversity exist at all. A team led by Prof. Evan Economo of the Okinawa Institute of Science and Technology Graduate University (OIST) set out to address this discrepancy with ants. While most studies up to now have focused on vertebrates like mammals and birds, ants offer a global, closely related group to examine. “They’re found almost everywhere on the planet, they’re ecologically dominant, and they are well-documented, at least for an insect group”, said Prof. Economo. “This makes them a good example of invertebrates to compare with other vertebrate groups”. Two nestmates of the temperate genus Formica sharing food. 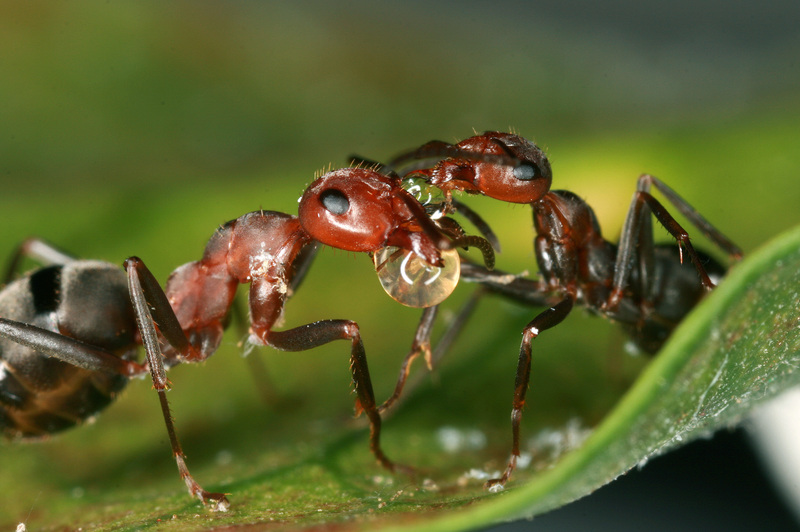 Most ant species live in the tropics, but understanding why has been a challenge. In a recent study published in Nature Communications, he and his colleagues painstakingly catalogued the global distribution of all 14,912 ant species. 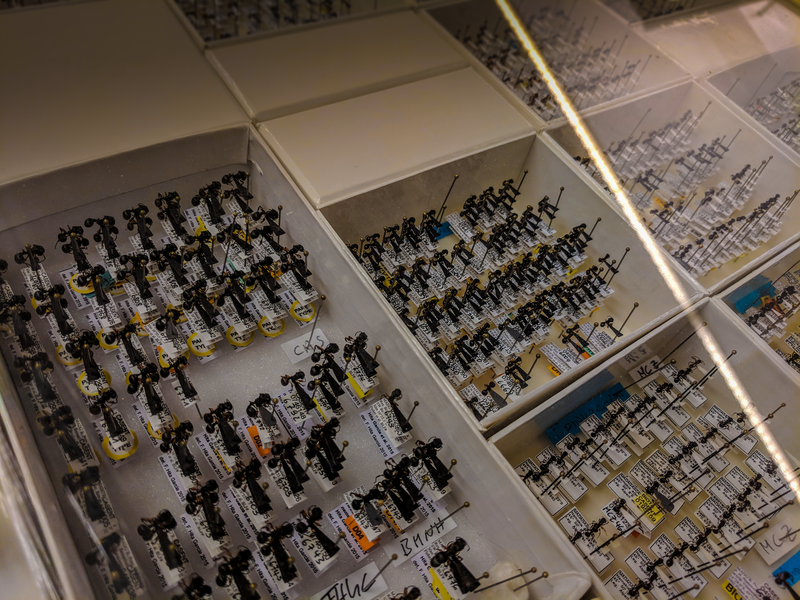 The process took years and involved poring through more than 9000 publications, museum databases and online repositories to define which ant species occur where in the world. Prof. Economo is leading this effort along with Dr. Benoit Guénard, a former postdoc in his lab who is now an assistant professor at the University of Hong Kong. Complementing this mammoth task, the researchers also recreated a phylogeny of all the ant species that maps how current species and their ancestors are related to each other. To do so, they combined all the available genetic data and used computational models to infer a “tree of life” diagram that shows the ancestral relationships between species. Specimens like this played a key role in identifying what species of ants are found in different areas of the planet. These analyses revealed that the rate at which new species arise is highly variable, but is not higher near the equator. Rather, the paper suggests, tropical areas have had a much longer time to accumulate the diversity we see today, and given enough time, we could expect to see the same happen in other parts of the world. “This new data from ants can help to test theories about large scale patterns in ecology,” said Prof. Economo. Economo and Guénard also want to use it to guide conservation efforts by identifying important areas for insect biodiversity. Says Economo, “We are just now getting a first look at large-scale patterns of insect diversity”.